What is the role of civil society in addressing housing and habitat struggles in today’s globalised world? 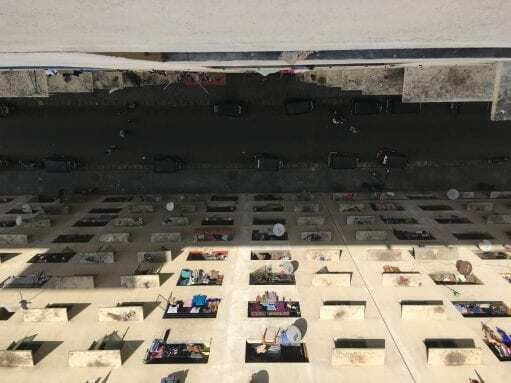 How can people, activists and organisations from diverse contexts worldwide collaborate and exchange their learning from struggles against the housing adequacy and affordability crises facing cities across the Global South and North? And what can Europe learn from other places? These questions are particularly pertinent to a global civil society network such as Habitat International Coalition (HIC). 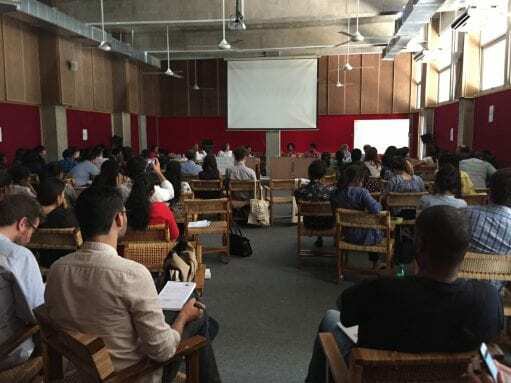 Undertaking a dissertation fellowship with HIC as part of my MSc, I collaborated with HIC and its members – including urbaMonde, BSHF and Habitat en Mouvement – to research the implications of these questions. From its origins as a Europe-based council in the 1970s, HIC has evolved into a more diverse, southern-focused coalition. Today, its membership covers five continents, forming “the global network for rights related to habitat”. 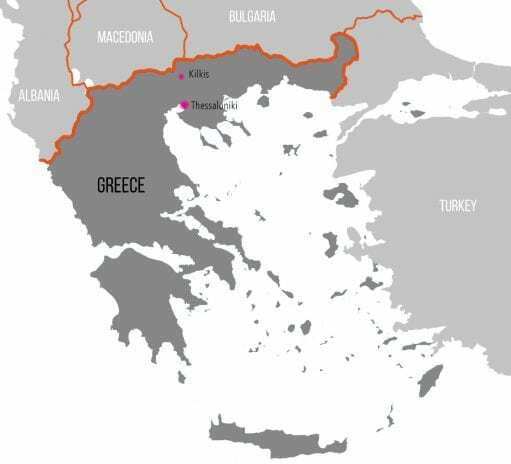 Yet as HIC’s locus has shifted southwards, its European role and identity has become uncertain. While cities have always been shaped by global flows, neoliberal globalization has pushed the scale and speed with which money, ideas, people and commodities traverse the world to unprecedented levels. The financialization of land and housing – housing’s exchange value as a commodity outranking its use value as a social good – now drives displacement in diverse cities worldwide as cities increasingly clamour to attract global capital. Added to this is the increasing blurriness and contestation of the world’s categorization into the global north and south. 2010s Europe, shaped by austerity and quantitative easing, bears striking similarities to 1980s/90s Latin America, shaped by the Washington Consensus, with the casualization of labour and withdrawal of state support for low income housing and other social security pillars. Meanwhile, radical shifts in urban theory reject colonial notions of planning ideas travelling solely from north to south in a linear cut-and-paste process. There is growing acknowledgement of urban learning as iterative and multidirectional: all planning ideas are reshaped locally when applied somewhere new. This can be part of the process, creating greater potential for civil society to learn both ways across the north-south “divide”. So, what is HIC’s actual and potential role in uniting global struggles for equitable, sustainable alternatives between Europe and elsewhere? It is well placed to facilitate global exchange between diverse members. Rather than seeing the growth of other networks operating in HIC’s thematic space as competition, there is potential for much greater collaboration, to which it can bring its uniquely global and longitudinal perspective. 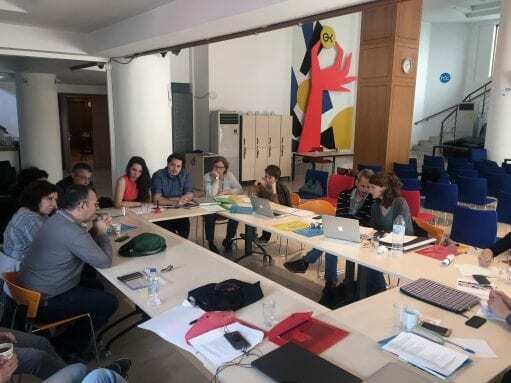 HIC is an integral part of global platforms such as the Right to the City, and the Social Production of Habitat (hosted by urbaMonde, one of its European members) which helps to build such collaboration. Since HIC’s origins, the digitalisation of global networks has reshaped the nature of peer-to-peer exchange. Many organisations – including HIC and members – house rich digital platforms online, yet these remain siloed, with potential for far greater interconnectivity. This brings additional challenges of overcoming multifaceted language barriers – from the avoidance of technical jargon, to translation (HIC’s strongest, most cohesive region globally is Latin America, in no small part to the shared language of most of its nations). It also requires more equitable access to communication infrastructures, to ensure all regions can benefit and contribute. Yet technology cannot replace physical, face-to-face meetings. The value of sharing ideas and experiences in person is invaluable: from building the visibility and legitimacy of small scale projects and struggles, to facilitating the exchange of knowledge, skills and ideas. Attending the Experimentdays European Collaborative Housing Hub in Berlin on behalf of HIC and UCL, I discovered the benefits of this first-hand. 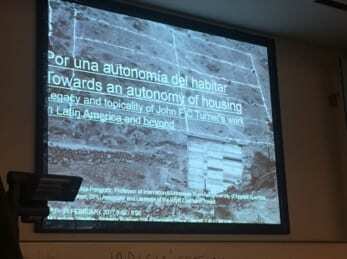 I presented my research, and collaborated in workshops with participants from over 20 European countries: activists, cohousing residents, academics and professionals, united by the pursuit of non-market, non-state provision and management of housing. Communities in Berlin have long taken advantage of its vacant land and building surpluses, following the fall of the Wall, to pioneer alternative housing projects. Today around 10% of the city’s housing stock is cooperative. This relatively unique context is exemplified in Spreefeld, the housing cooperative where Experimentdays began. Home to over 140 people, together with coworking, social and community spaces, it occupies a central riverside site – something difficult to imagine in today’s London for example. And yet encouragingly, London was represented at Experimentdays by several exciting projects at different stages. It was difficult to choose from the inspiring range of workshops being held across the weekend. Exploring approaches to engaging with policymakers with people from a variety of political contexts – from Slovenia to France, UK to Italy – our discussions raised the “chicken and egg” nature of policy change and societal change. Oftentimes policy is catching up with how society is changing, yet policy can also be used to trigger experimentation to mainstream housing practices. Another workshop raised the challenge of ensuring diversity and inclusivity in collaborative housing movements, and working towards securing affordable housing for everyone. 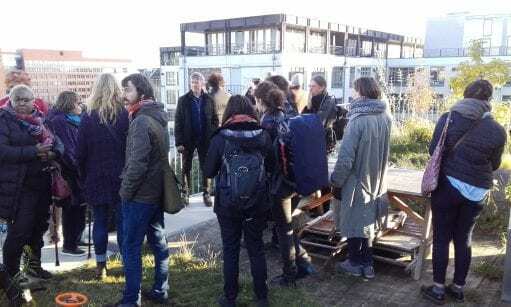 In Berlin as in Europe, cohousing is often pursued by a middle-class educated population – yet greater engagement with minorities, outsiders, and increasingly, refugees is essential to realise common good goals. In Spreefeld, the incorporation of two flats for refugee families as integral to the community, works towards this wider social benefit. Spreefeld also supports the wider community. For example, it provides its “Teepeeland” neighbours – a collective habitat of teepees on city-owned land – with power, water and advocacy, arguing that there is little difference between the two settlements, both developed on the basis of sharing and recycling. Tours on the final day of ufa fabrik and Schwarzwohnerhaus, which originated as squats in former West and East Berlin respectively, reiterated the unique enabling factors of Berlin’s recent history. Yet also apparent was the universal need to establish ways for cooperatives to transition to new generations, while retaining their initial objectives. 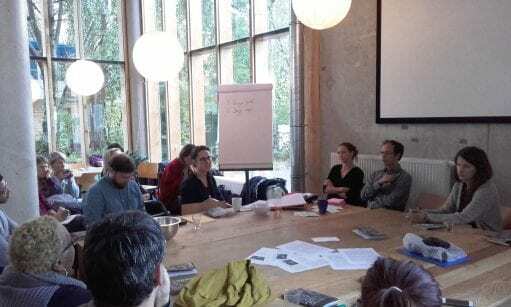 And, as was raised several times throughout the weekend, global market forces are steadily catching up with Berlin as elsewhere, and its many activists, movements and cooperatives face a challenge to try to retain their non-market driven approach. At the end of the final day, I chatted with one of Spreefeld’s refugee residents from Syria, who told me “In Syria, we have always shared our food, our cooking, our childcare and our homes with other families in our community”. Indeed, returning to the question of what Europe can learn from elsewhere – the answer is a lot. What is often seen as pioneering, already has precedence in other places. I am grateful to my dissertation supervisor, Alexandre Aspan Frediani, and to HIC and its members who supported my research. I also wish to thank the organisers of Experimentdays, for facilitating such an interesting and inspiring event. Thomas Doughty is a recent graduate of the MSc in Environment and Sustainable Development. Coming from an architectural background, he is interested in innovative approaches to sustainable and equitable urban development. Statistics confirm that more than 60% of refugees worldwide live in urban areas and in the future, this figure is likely to gradually increase. Such a global phenomenon is forcing us to think not only about how integration and systems of care and assistance have to be shaped, but also about the very nature of the city and their forms. Cities are places where both migrants and non-migrants interact, be it through working, studying, living, raising their families or simply walking in the street. While cities offer great opportunities for migrants and refugees, at the same time they are also faced with challenges in creating opportunities for care, integration and inclusion. More than ever refugees and migrants become a concern of urban design. In the Italian urban context, the presence of migrants at different stages of their migration experience has triggered a complex system of reception and housing options. 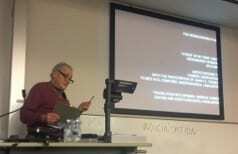 It is within this context of inherent contradictions and opportunities brought along by the practice of reception, assistance and integration itself that the BUDD Camp 2017 (integral part of the MSc Building & Urban design in Development Practice Module) embarked on exploring migrant’s dwelling practices. Thanks to a long-term partnership with Associazione per l’Ambasciata della Democrazia Locale a Zavidovici Onlus (ADL), BUDD students visited Brescia (Italy) last February, to explore a variety of housing/hosting/reception typologies including centers, dormitories, and shared houses that house/host refugees, asylum seekers, and no fixed abode migrants. In line with the practice of our partner, BUDD students would experience the different tensions that arise from local inclusive and integrated practices that are inherent in the multi-level governance of the so-called refugee crisis: between reception and exception; dwelling and transition; visibility and invisibility; proximity and distance; present and future; inside and outside; faith and despair. Refugees’ lives are exceptional, suspended in a sine tempore condition, trapped in a country where they might not want to be, or they might not be welcomed, and forced to perform a role. Refugees are individuals who are in need for protection and shelter but because of this need are denied the possibility to live a full life, and forced into a condition of temporariness which compromises the very meaning of home in itself. The meaning of home becomes political. 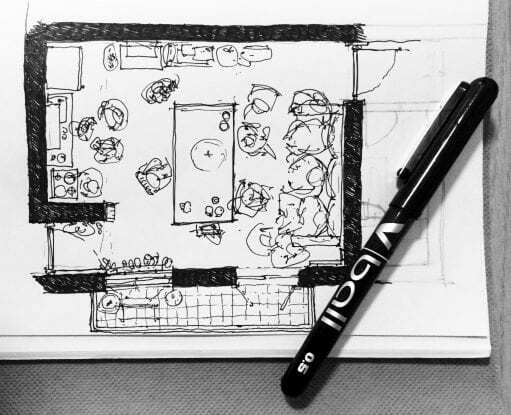 Boundaries of homes have been experienced in the multiple forms of socialisation, appropriation, and narratives inside and outside the physical spaces of hospitality. However, that of reception is indeed a mechanism that often becomes a dispositive of control as it ensures protection only at the expense of individual freedom. Houses and homes where refugees are hosted have strict rules and limited freedom that govern the space and its routine and nevertheless refugees are asked to keep them with the same care they would have if those where their houses. Social workers and volunteers engage with passionate political sensitivity with the refugees and struggle to deal with such limitations to reconcile the legal meaning of protection with the universal right to freedom and the political imperative to host and help. But nevertheless reception and care remains an opportunity. Especially in the meaning given by ADL, where reception is not about giving a roof, but building recognition and reciprocity, through social networks, job opportunities, interactions in the urban space. 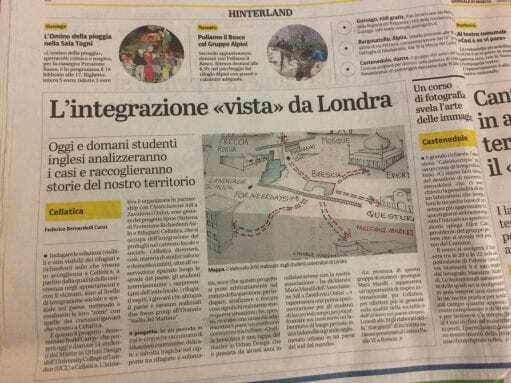 ADL currently coordinate the SPRAR project (Sistema di Protezione Richiedenti Asilo e Rifugiati) that focuses on improving the integration of forced migrants in the city of Brescia and its surrounded municipalities. The SPRAR project aims to oppose the humanitarian approach where the refugee is seen as a ‘beneficiary’ and the person that needs help, an action which often leads to segregation from the wider urban community. ADL is currently questioning how to transform the top down governance system into something that addresses the needs of individuals, that is tailored on individuals. The project rather aims to stimulate self-awareness, autonomy and inclusion of refugees through individualised and targeted programmes. ADL further recognise that integration and hospitality need to be systemic and relational; need to support each other and need to be well coordinated. Their work endeavors to emancipate the current policy that addresses refugees as alien to the society into a welfare that embrace refugees and residents as equals. Of course, there is no immediate solution but rather an incremental effort to push the boundaries of existing frameworks and transforming the systems of expulsion into an inclusive one. Within levels of complexity, in a commendable effort to grasp most of what is possible in a short engagement timeframe, BUDD students have investigated individual experiences, spatial phenomena and potential alternative interventions. Strategies and interventions developed in Brescia seek to reinforce socio-spatial relations and the creation of new ones, to foster recognition and advancement on citizenship. Through life story interviews, ethnographic observation, key informant interviews and participatory maps, the short workshop aimed to reflect on the efficacy and limits of housing and immigration policies and further expands from hospitality to integration issues, looking beyond dwelling towards inhabiting the urban space, intended as lieu of encounter and conflict. Witnessing, learning and discussing LDA practices, ethics and operations have given a fantastic opportunity to learn about the complexity, the tensions and the opportunity of the urban design of refugee crisis, however in a small, short and incomplete manner. ADL works at the edge of the politics of care, between the ethical and the licit dealing with vulnerability, normative frameworks, and political struggles. 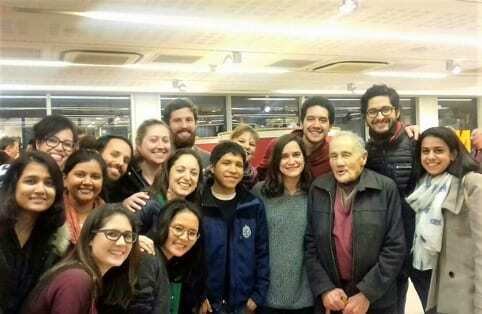 Their work made is made more challenging by the Italian context of austerity and cuts to welfare and social services, increasing unemployment and homelessness and proportional surge of nationalism and xenophobic sentiments. The unwillingness to receive strangers, migrants, ‘the other’ in general is on the surge, and unfortunately not only in Italy. Reception has always been and remains a hot debate in the peninsula, and it reflects a wider trend in the EU context as well. The refugee identity and experience is questioning our own identity and our assumptions about space, places and design agency and it open an active interrogation of practices of recognition, emancipation and activations in any act of city making. Camillo Boano is a senior lecturer at the DPU, and is co-director of the MSc Building & Urban design in Development programme. Giovanna Astolfo is a teaching fellow at the DPU, and works closely and contributes to the teaching of the MSc Building & Urban design in Development programme. There is undeniably a great amount of social science research produced around the world. In the field of development, much of it aims to inform the public, perhaps even with the expressive aim of changing behaviours. Yet how can one produce engaging content when it is well documented that the general public cannot focus for more than seconds at a time? There has been substantial research on people’s decreasing attention span. In his 1985 book Amusing Ourselves to Death: Public Discourse in the Age of Show Business, Neil Postman advanced his thesis that television and the emphasis placed on entertainment has altered the way people consume information, and decreased their ability to concentrate on issues they do not find pleasurable[i]. Nicholas Carr focused his study on the advent of the Internet, arguing that our use of the Internet not only makes absorption harder, it actually impacts our ability to be engrossed in written material both online and offline[ii][iii]. Statistics seem to concur with this thesis. A 2008 study found that Internet users spent 10 seconds or less on any given page over 50% of the time, while the average time for a stay on a page was placed between 2-3 seconds[iv]. A 2015 study by Microsoft found that overstimulation through the Internet and smartphones has decreased our attention span from 12 seconds in 2000 to 8 seconds in 2015, jokingly compared to the attention span of a goldfish[v]. The evidence is all around us: news videos online last on average under 3 minutes. In development, the trend is very much the same. Most organisations – including DFID, WaterAid and ODI to name a few – now produce a mix of short videos and infographics to present their material. Information is distilled in bite size pieces which audiences can easily digest. Conversely, when people are engaged, they can focus for longer. And this is where things get interesting. Coming up with engaging ways to communicate information can make all the difference. And what better way to engage someone’s attention than turning the subject into a game? Playing games de facto retains the player’s attention, and, for that reason, they have long been used in education. Whether it was through educational board games or through the use of computer games in school for math or physics modules, most of us were exposed to learning in game format. Games can therefore be a great communicative tool, especially for complex information. Openspace, the organisation I am currently working with in Bangkok, has teamed with Dr Wijitbusaba Ann Marome from the Faculty of Architecture and Planning at Thammasat University, to translate the results of a 5-year international research project of the Coastal Cities at Risk (CCaR) on urban resilience into a game. Coastal Cities at Risk (CCaR): Building Adaptive Capacity for Managing Climate Change in Coastal Megacities is a research project financed by Canada, looking at climate change and urban resilience, with respect to flooding in Vancouver, Lagos, Manila and Bangkok. CCaR uses modelling through the VENSIM program, using data derived from City System Dynamic model, to input known variables and produce future scenarios for these cities. Interestingly, the causes of flooding are different in each city, which allows for a broad field of study. Urban Resilience refers to the capacity of a city to bounce back after a shock. The most widespread definition, coined by the Community and Regional Research Initiative on Resilient Communities (CARRI), defines resilience as the “capability to prepare for, respond to, and recover from significant multi-hazard threats with minimum damage to public safety and health, the economy, and national security”[vi]. As evidenced by this definition, urban resilience has adaptability and complexity at heart. It views cities as adaptive systems, where the interactions of a wide set of factors need to be taken into consideration. Moreover, preparedness is key to achieving urban resilience, as anticipating potential future threats to urban settings allows for greater adaptability. This becomes ever more significant given the looming threat of climate change, which already brings an increase in the occurrence and severity of extreme weather phenomena around the world. While urban resilience involves more than natural disasters, these are considered a central aspect of the threats that need to be countered. In Bangkok, it is very intuitive to focus on flooding. Bangkok floods severely every couple of years, and, with climate change, the intensity is worsening. 2011 witnessed the worst flooding in decades; the year remains engraved in people’s minds and imagination, and routinely comes up in conversation as the benchmark for all subsequent flooding. The numbers are staggering: 884 people died, while a further 13.6 million were affected. 65 provinces were classified as disaster zones, and the World Bank estimated the total economic losses at $45.7 billion, making it one of the five most costly natural disasters in history[vii][viii]. To a lesser extent, Bangkok floods semi-regularly. For example, it only takes a heavy night’s worth of rain during the rainy season to flood Lat Prao, the area where I live. The CCaR research concludes that flooding in the Bangkok Metropolitan Region (BMR) will intensify as both the intensity and frequency of heavy rain will increase. Perhaps surprisingly, the prevalence of flooding has not been linked to climate change or urban resilience, be it at policy level or in people’s minds. It is also telling that there is no government agency responsible for dealing with it. “It ranks low on the scale of political priorities, far behind questions of economic and social development” remarks Dr Marome, the leader of the CCaR team for Bangkok. Dr Marome stresses the importance of preparing society. “While investing in infrastructure can be very useful, it can only ever represent 70% of dealing with climate change. The remaining 30% needs to be done by people themselves, through preparedness. Japan is a great example of that. The state provides different measures to mitigate earthquakes, from law and regulations to earthquake resistant structures, but society has also adapted. Children are being taught from a very young age how to prepare for earthquakes”. In Bangkok, there is clearly a gap between the people who have the relevant information on the one side, and the wider public and government agencies on the other. 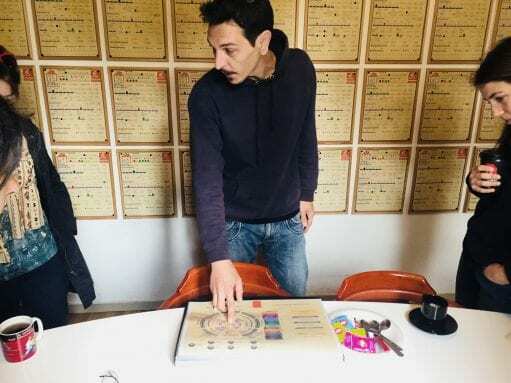 The Urban Resilience Board Game tries to bridge this gap, by making information easily accessible to a wider public, beyond the scope of academics and people in the field. 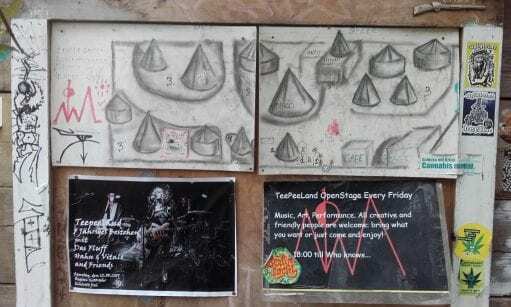 The game is played by 4 or 6 players, each the mayor of a Bangkok Metropolitan Region (BMR) – Bangkok Metropolis, Nakhon Pathom, Pathum Thani, Nonthaburi, Samut Prakan, and Samut Sakhon – and a facilitator. Each region has distinct characteristics and conditions, all based on the CCaR research findings: some are more developed, some have issues with waste management, some have issues with social cohesion, or environmental protection. Overall, there are six different urban futures, each affected by four different drivers: socio-economic factors, housing and land use, environment and health, and flood management. All players are allocated an initial budget, to be used for future investments. The players roll the dice to advance on the board and get handed an event that they need to deal with. 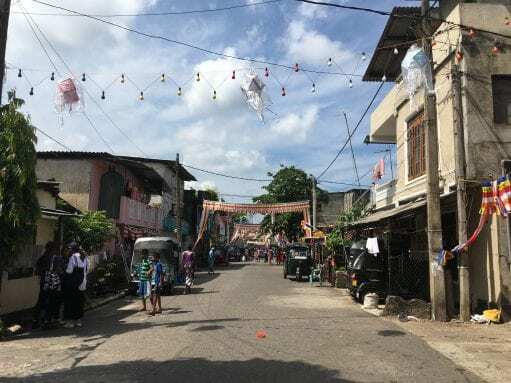 Events range from anything between a drug problem among the area’s youth to the construction of a fast train linking this area to its neighbours. The player needs to identify the risk, the opportunity, and, where necessary, invest to deal with the event. Points are allocated for correctly identifying each, and all need to be relevant to the specific area’s profile. This urges players to link different issues and eventually identify necessary investments in the short or long term. Rolling a six or completing two rounds triggers a flood round. Flood intensity varies each time, and affects each region differently. An area’s resilience ultimately depends on preparedness stemming from investments in the previous rounds. For example, should an area have a serious garbage problem, investment in clean up prior to the flood round would increase resilience, as refuse not only obstructs drainage, thus worsening the flood, but also spreads diseases. During the flood round, all investment proposals need to be voted on by the mayors of the other regions: players need to argue their case to seek approval. The game ends when any participant reaches the end of the board; the player with the most points wins. The Urban Resilience Board Game thus has a double role: first, it raises awareness about flooding and resilience, allowing people to think about urban resilience and find linkages between different issues. Second, it brings people from different backgrounds together and opens a dialogue that would not otherwise be happening, and certainly not under these conditions. In June 2016, Thammasat University and Openspace organised a workshop with academics, policy makers and representatives from the local government, specifically from the Bangkok Metropolitan Administration (BMA). Many participants had no experience with these issues but all played the board game for two hours. The feedback was extremely positive, as they found the game both informative and entertaining. Interestingly, the game seemed to transcend political red tape, allowing people to consider flooding and urban resilience without the backdrop of the sometimes charged political considerations that happen in Thailand. The appeal for planners is evident. The game opens a platform for people to discuss complex issues in an informal way. Instead of being confined by the structure and convention of a meeting or conference, participants can let their guard down and engage with the material in a new way. More importantly, the subject matter becomes accessible to people with no prior experience. In the guise of explaining the rules and aim of the game, facilitators are actually presenting the basic information for people to understand the core ideas of urban resilience. Yet all of this remains unthreatening; at the end of the day, it is only a game. The players are then pushed to really think about the issues, and see the connection between investments in infrastructure and cooperation with other regions, and achieving urban resilience. Their output is then fed back to the CCaR team and Openspace, who collect the documented actions that players took during the flood round. This is crucial, as it allows for a feedback loop into the research in a very direct way. In the next months, more workshops will be organised. Moreover, Dr Marome and Thammasat University plan to train members of the public to be facilitators, allowing for greater exposure, perhaps even spilling to other Thai cities in the North. They are also working on having a workshop with urban policy planners from across Asia to play the game. The possibilities are endless, because who would not like to come play with us? In July 2016, the 4th Community Architects Network (CAN) Regional Workshop brought together community action practitioners from countries all over South East Asia. The first day was spent in Bangkok, Thailand, introducing the participants to the work done and challenges faced by CAN members in Thailand, China and India. The following five days were spent in groups – each focusing on a different sector of city development, for example the transport group, which I was part of – doing fieldwork alongside local communities in Chumsang City of Nakornsawan Province, Thailand. “Today is just about listening,” we were told. That was how we started our fieldwork on the 16th of July. Focusing our attention on understanding the local communities of Chumsang, listening to their ideas, concerns and how they wished their city to be in the future. This was a challenge, particularly as most of us had spent the first two days of the workshop meeting and exchanging with many different people from Sri Lanka, Nepal, India, China, Thailand, Indonesia, Philippines, Vietnam and Cambodia. So by the time we arrived in Chumsang, my mind was already full of questions and ideas. I was excited and a little rushed to quickly understand the context of Chumsang, considering we had very few days to do so and then to, somehow, ‘co-create’ something. Co-Creation was the theme of the workshop. It was described in the introductory programme as the “co-creation and design between man and nature through a process of understanding and respect”. Understood in this way, co-creation was very representative of the dynamics and needs of Chumsang. Like other similarly sized cities in Thailand, Chumsang faces many concerns related to its natural resources and landscapes, the loss of its cultural traditions, the changing dynamics of migration in its young and old populations and as a result the increasing day to day challenges in making the city livable, sustainable and lively. Following this theme, the workshop in general had a loose structure that allowed space for conversations to evolve, take different directions and reveal those elements that were not immediately obvious about the city and its people. At first this way of working felt uncertain, unfamiliar and risky but as we were immersed in to the fieldwork, the friendly people and the excitement of it all, it became easier to go with the flow and allow our ideas and projects to develop in a very organic way. As the transport and cycling group, we happily spent a lot of time on our bicycles, visiting the city and using any excuse to get on the saddle. By the end of the first day, it was harder to walk straight and our faces were quite pink from the sun, but it was through these rides around the city that we found inspiration to work. We even wrote a song! Within the transport group, I felt very connected to my colleagues, not only by being part of CAN, which encouraged us to work together but also through our other interests, in my case cycling. In other cases, photography, culture, music, heritage and ecology brought people together to share ideas on making the city. These elements, represented through our different interests and hobbies, are also an important part of what makes cities vibrant and CAN Co-Create seemed to build on this synergy very well. It took a wholesome perspective toward community architecture and in this case, for the first time, at the scale of the city. I think this was one of its greatest strengths. In this way, the opportunity that CAN workshops bring about by generating attention, bringing in professionals and practitioners from many contexts to work with local communities and catalyze change not only focused on one arm of city development but many. We established groups that addressed housing, mobility, politics, environment, culture, health and one that emphasized the connectivity and cohesion between these different elements at the level of the city. The workshop also became an opportunity for the mayor to come face to face with the energy of the city’s people, their desires and motivations and to engage in direct conversation with them about their different ideas for the future of Chumsang. At the same time, this transversal approach also brought many communities to work together. We worked with two cycling groups, a group of elderly, the old market community, young school children, communities that were to be relocated and communities that had already been housed. Initially, it seemed that these different groups had their own motivations for participating in the workshop. However, at the end of each day, as we reviewed our progress and our findings, the work gradually demonstrated how intricately connected these different motivations and processes really were. Although some groups progressed quicker than others during the five days of fieldwork, reviewing, changing and even starting over a couple of times; the level of involvement from community groups in the presentation of the outcomes, on the last day, was moving. It showed that these processes of participation intrigued people and invited them to feel part of something greater. So although lengthy and sometimes frustrating, the time it took to build, validate and present ideas with communities, seemed to generate a collective sense of a ‘Community of Chumsang’. In a way, the notion of ‘co-creation’ really materialized through this challenging and timely process. Toward the end of the workshop, I increasingly noticed that people built on these connections and worked with them, moving around the room, between different groups, sharing information and presenting ideas in sync with each other. There were many things about the CAN workshop that motivated me but it is what happens after the workshops, which I find the most significant. How the transformative process that CAN workshops initiate, by bringing so many minds together in one place, can ripple out into a series of waves of transformation in other places; How those of us who attend the CAN workshop can carry our experiences and through them, diffuse the energy of CAN into existing and new networks. After the workshop I was left with this intrigue, excited to see what happens next. The workshop produced Facebook groups [CAN Co-Create Chumsaeng City & Unsung Stories of Chumsaeng); brought cycling movements together to carry out a collective ride throughout the city with the support of the police; created brochures to promote tourism, made a song and proposed many other small achievable projects that the local communities could carry on after the workshop. I see these outcomes as small actions and tools that are practical and achievable in the short term but which have the potential to keep co-creation running by “people’s process”, as we like to say, in the long-run. If people follow up and use them. A month later, I am visiting some of the CAN members in Vietnam. They have been great hosts, showing me around and teaching me about the beautiful city of Hanoi. “Sharing is where everything starts” says Houng, one of my hosts and also a CAN member. Being back in conversations about community practices reminds me of my intrigue, what happens after the workshop? How does the transformative process of CAN Co-Create continue? Still excited from the experience, I’ve noticed some signs that suggest the transformative process is still running. The actions that we took and the ‘web’ of tools that we began to create seem to have given the ‘network’ a potential to catalyze this process. Believing it all the more as I listen, discuss and exchange with people who, despite having returned to their busy lives, are still talking about visiting Chumsang again, strengthening the CAN network in Vietnam and even about extending the scope of the existing one. Luisa is an alumni of the MSc in Building and Urban Design in Development at the DPU. Currently she is working in Manila, Philippines as a beneficiary of the DPU/ACHR/CAN Young Professionals Programme. Over the last two decades, Uganda has attained a remarkable record of delivering development in the areas of growth and poverty reduction. The country has also seen a significant increase in the involvement of nongovernmental organisations (NGOs) in the development process. The MSc Development Administration and Planning field trip to Kampala was focused on exploring how development intervention is planned and implemented in Kampala, Uganda, as well as examining the role of the practitioner and observing the tools and approaches that are used to conceptualise, design, manage, monitor and evaluate development interventions. The field trip commenced with a guided city tour of Kampala, which was organised not only as an introduction to the environment but also to elicit and encourage observation and reflection in terms of spaces in the city, forms of social and cultural life. Kampala is the biggest city and the capital of Uganda. It is also the administrative and commercial centre of the country. Kampala has undergone changes within the last few decades and with rapid urbanisation and population growth, the city has had to deal with challenges congruent with urbanisation. Kampala, a city, which was originally built on seven hills, has now expanded to one on more than 21 hills. The town formerly designed for 500,000 is said to now have a population of more than 2 million with migrants coming in from outside Kampala to work and find work in the city. This appears to have had a huge impact on the infrastructure. Kampala faces a number of challenges, which is typical of urbanised cities in developing countries – aside from improving basic necessities; these challenges also include the lack of infrastructure and population increase. NGOs in Kampala are seemingly filling in some of the gaps in government provisioning such as being involved in service provisioning. The upward trajectory of NGO prevalence seems to demonstrate that NGOs in Kampala will continue to be involved in service provisioning as the city continues to grow and government struggles to fulfil their responsibilities. The students were divided into eight groups with each working with one of our eight partner development organisations in Kampala. The students spent two weeks visiting their partner organisations and observing first-hand the processes and tools involved in carrying out development projects. Through employing research strategies and appropriate methodology, students utilised various theoretical frameworks and research methods to explore and understand the phenomenon under investigation. Field site visits were also organised for all the students to observe development projects in action. One of the field sites visited was a project supported by Shelter and Settlements Alternatives (SSA) called ‘Decent Living Project’. SSA is a Ugandan based NGO involved in advocacy and sharing information for better housing policies, programs and practices towards sustainable improvement of human settlements in Uganda. 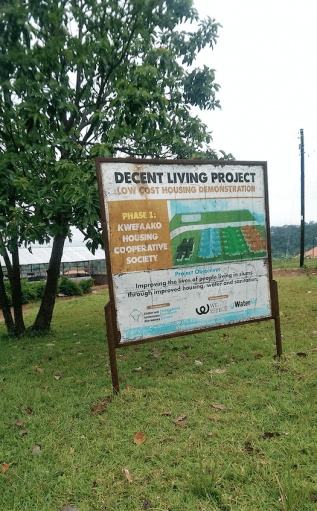 The Decent Living Project, which is one of SSA’s projects, supports its beneficiaries by providing affordable and eco-friendly houses as well as improving the lives of people living in informal settlements in Kampala. One such beneficiary of this project is a group of individuals living with HIV and formerly inhabiting an informal settlement. They came together and formed their own cooperative called the Kwafako Housing Cooperative. The students were introduced to some of the beneficiaries of the housing project and were also briefed about the history of the housing cooperative, which was said to be the idea of one of the beneficiaries known as Madam Betty. She was said to have noticed the lack of help for people living with HIV within her settlement and convinced them to come together and seek help. The cooperative is currently made up of 34 members who are mostly women, except for four males who upon the death of their spouses became members automatically due to the cooperative’s policy which states that once a female member dies, their husbands become members. SSA supports this community group through advocacy, providing capacity building through workshops. The members of the cooperative group were trained in the art of making the interlocking soil stabilised brick used in constructing their houses. Strategies used by SSA in meeting objectives include transferring affordable, sustainable and environmental housing technology. For example, the materials used in making the interlocking soil stabilised brick are dug from the same soil found within the housing project environment. This ensures maximum utilisation of land, keep costs at a minimum and affordable whilst also being environmentally friendly. They also encourage making bricks without the need of burning wood which they explained was not environmentally friendly and as such not supported by one of their funders. 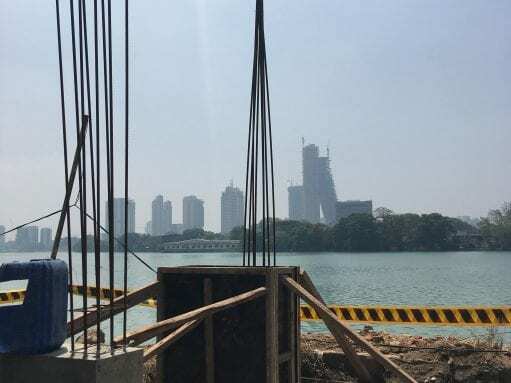 The project which has 24 units which are almost completed is said to be also partnering with Water Aid who plan to provide water facilities to the project. Madam Betty stated that they participated in the design of the houses as well as making the bricks and helping with the building construction. The members of the cooperative demonstrated how the interlocking stone brick technology is made. This gave us the opportunity to observe the process of making the interlocking soil stabilised bricks as well as encouraging deeper understanding of the capacity and hard work involved. Apart from the quotidian activities which involved field site visits, collecting data and frequent group meetings, the students prepared presentations of their findings to tutors, peers and the partner organisations. Golooba-Mutebi, F., & Hickey, S. (2013) ‘Investigating the links between political settlements and inclusive development in Uganda: towards a research agenda’ (No. esid-020-13). BWPI. Manchester: The University of Manchester. Dr Lilian Schofield is the Graduate Teaching Assistant for the MSc Development Administration and Planning (DAP). She joined the students on the overseas field trip to Kampala. Each year, the MSc Development Administration and Planning students embark on an international research field trip. In recent years, the MSc DAP students have visited several countries including Ethiopia and Uganda.